Both sexes fully winged. 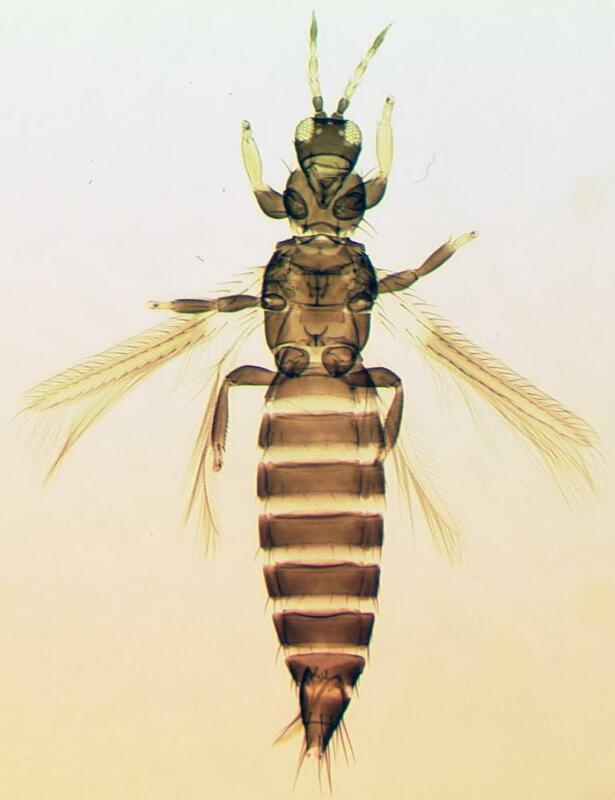 Body and legs dark brown, fore tibiae and all tarsi largely yellow; antennal segment III and basal half of IV–V yellow; fore wing brown with base sharply paler. 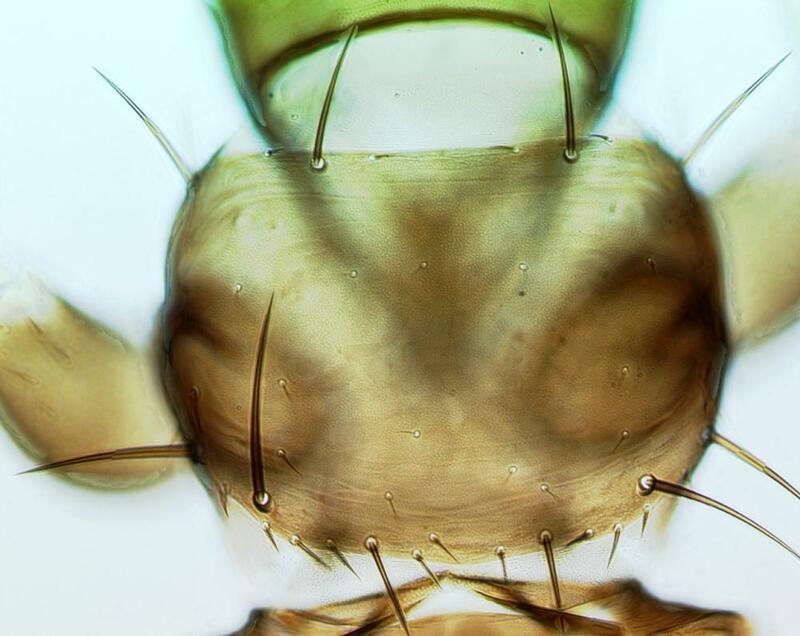 Head wider than long, anterior margin often slightly concave; three pairs of ocellar setae present, pair III slightly longer than and situated just lateral to margin of ocellar triangle; postocular setae pair I present, pair IV longer than diameter of hind ocellus. Antennae 8-segmented; apex of segments III–IV constricted and neck-like bearing a forked sensorium; segment VI with base of sensorium elongate; VIII scarcely longer than VII. Pronotum with little sculpture medially; 5 pairs of major setae present; anteromarginal setae shorter than anteroangulars, one pair of minor setae present medially between posteromarginal submedian setae. 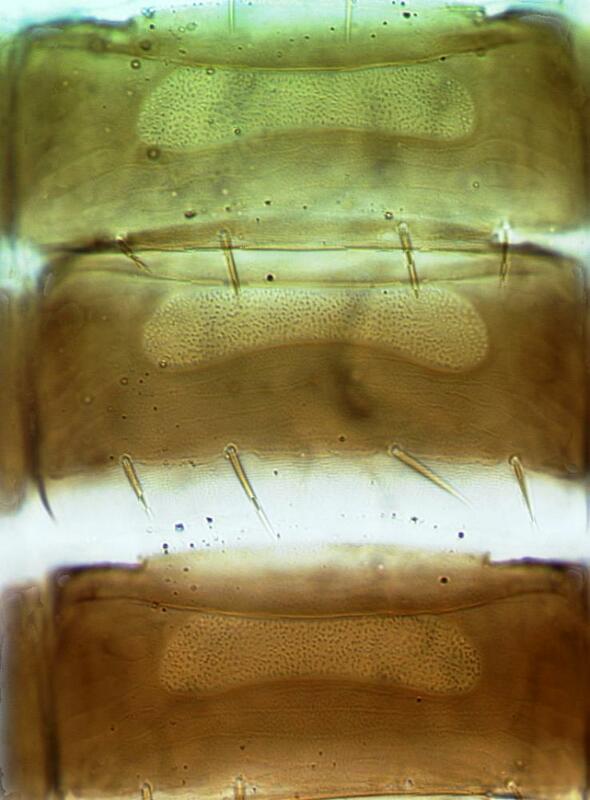 Metanotum with 2 pairs of setae at anterior margin, campaniform sensilla present. Fore wing with 2 complete rows of veinal setae. Abdominal tergites V–VIII with paired ctenidia, on VIII anterolateral to spiracle; tergite VIII posteromarginal comb with moderately long teeth arising from triangular bases, but medially with 2 or 3 teeth missing. Sternites III–VII without discal setae. Male smaller than female, sometimes paler; tergite VIII with no posteromarginal comb; sternites III–VII with transverse pore plate. 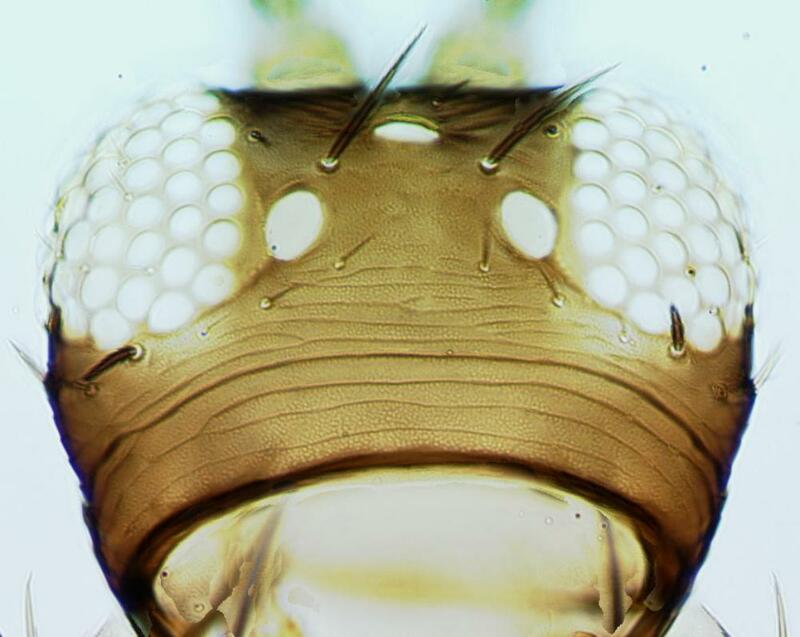 Despite the wide geographic range, this species exhibits limited variation apart from body size and the color of the median antennal segments. Currently 230 species are listed in the genus Frankliniella, with up to 130 further names placed into synonymy (Nakahara, 1997). This high rate of synonymy has been due to unrecognized variability in size and color of so many species. 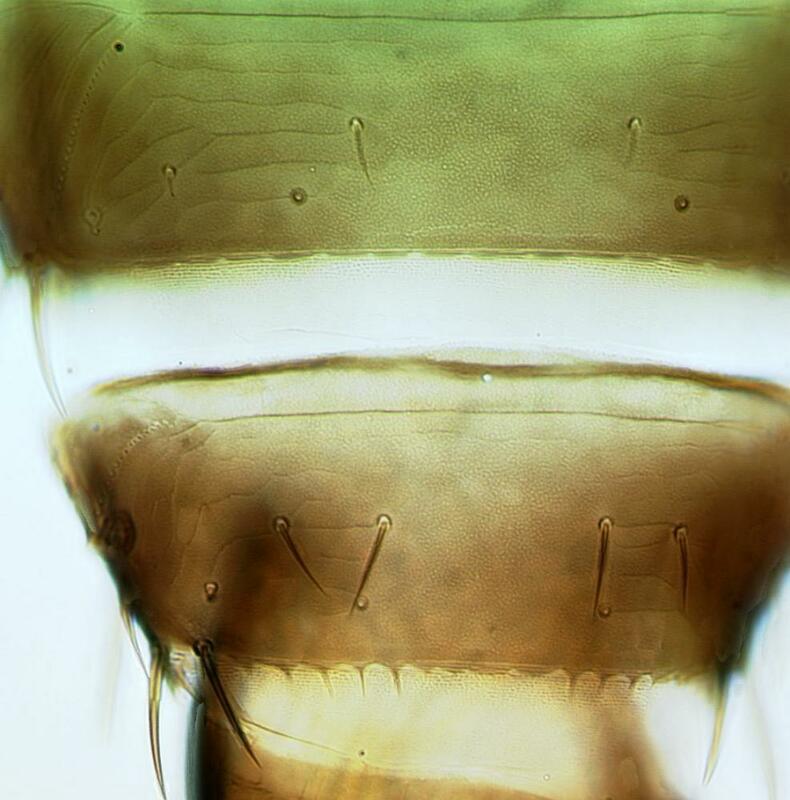 F. insularis is unusual within the genus because of the rather broad head, the form of the sensorium on the sixth antennal segment, and the form of the comb on the eighth abdominal tergite. Keys to 74 species recorded from Central America and the Carribean were provided by Mound & Marullo (1996), and to 40 species from Brazil by Cavalleri & Mound (2012). Adults have been taken from the flowers of a wide range of plant species, but they have been found particularly commonly between the coiled red petals of Malvaviscus flowers (Malvaceae). A minor pest of leguminous crops in Central America, such as Cajanus and Pachyrhizus. Widespread from Mexico through Central America south to Argentina, also southern States of USA and Hawaii. Earlier records from outside the Americas, such as Australia, are usually misidentifications, but in 2006 specimens of F. insularis were collected in Fiji, and in 2007 some were collected in Singapore.